Get Re-Fingerprinted on September 18 or 19. Hours are 8am – 4pm. 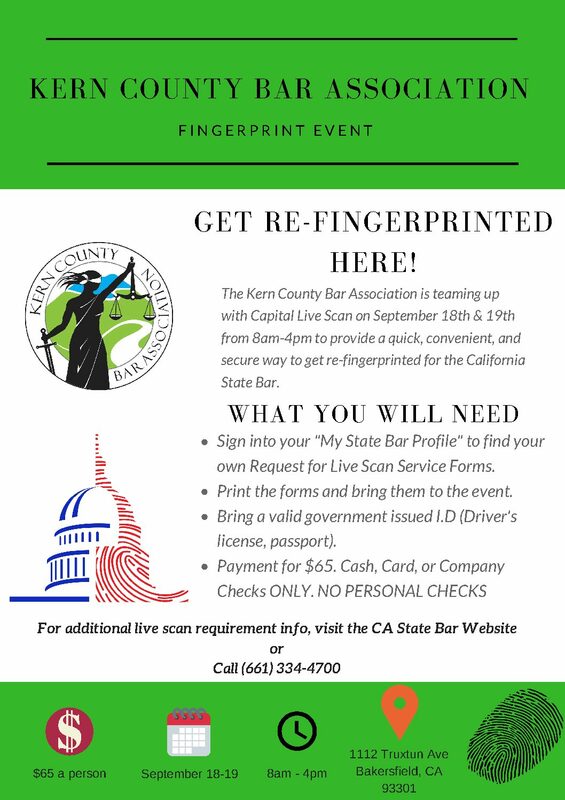 Print and bring the Fingerprinting form on the State Bar of California website.